Provide comfort for the family of W. Leigh Short with a meaningful gesture of sympathy. 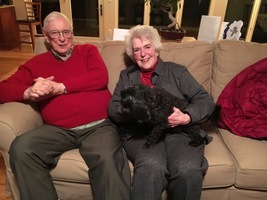 W. Leigh Short, 84, of Williamstown MA died Thursday March 21, 2019 at Morton Plant Hospital in Clearwater, Florida. He was born in Calgary, Alberta, Canada on January 30, 1935, Son of William Smith and Ada Iola (Matchett) Short. He was educated in Canadian schools and received his PhD in Chemical Engineering at the University of Michigan. Leigh was last employed as an engineering consultant for Woodward and Clyde in Wayne, New Jersey until his retirement. Previously he was the Chairman of the Department of Chemical Engineering at the University of Massachusetts. Leigh served on the EPA Science Advisory Board and the National Academy Committee to oversee the destruction of US stockpiles of chemical weapons. Leigh was honored with a Lifetime Achievement Award from the Association for Environmental Health and Sciences Foundation for outstanding achievements and signiﬁcant contributions to the ﬁeld of environmental assessment and restoration. Leigh was a member of St. John’s Episcopal Church and the First Congregational Church of Williamstown MA. He was a member of the Vestry at St. John’s and the Stewardship committee at the First Congregational Church. Leigh also served on the Zoning Board for the town of Williamstown. He was predeceased by his wife, Patricia (Macbeth) Short who died on October 29, 2012. He is survived by his wife, Anne Kelway (Libby) Atkinson Short whom he married on November 3, 2013 and one daughter, Jane Fisher of Denver Colorado and one son, Michael Short, of Clearwater Florida. He also leaves 16 grandchildren and 5 step-children including Keith Jones, Steven Jones, Laura Jones Kobrin, Timothy Atkinson and Toby Atkinson. FUNERAL NOTICES: Services for W. Leigh Short will be private. To add to the Book of Memories, please visit www.ﬂynndagnolifuneralhomes.com. Donations in Leigh’s memory should be made to Doctor’s Without Borders (www.doctorswithoutborders.org) or the Heifer Project (www.heifer.org). To send flowers in memory of W. Leigh Short, please visit our Heartfelt Sympathies Store. We encourage you to share your most beloved memories of W. Leigh here, so that the family and other loved ones can always see it. You can upload cherished photographs, or share your favorite stories, and can even comment on those shared by others.